GelMoment was founded by entrepreneur and CEO Dov Grossnass. Their launch date was January of 2015. The company is guided by three pillars – product, people, and community. Being motivated by these pillars has proved to be successful. You will find a variety of nail care products like polish colors, nail serums, nail art, LED lamps, and accessories. They also offer skin care for the hands and feet. Best known for having the “DIY One-Step-5 FREE – Gel Polish”, you can achieve a salon-quality manicure in the comfort of your own home. Their gel polishes do not require a base coat or a top coat. When used with their LED lamps, the polish will cure in 60 seconds and last up to 14 days! They offer a vast array of colors. There are 26 to choose from. GelMoment prides itself on being eco-friendly using minimal packaging and recyclable ingredients. Their products are 5-free, gluten-free, vegan-friendly, non-toxic, lead-free, and cruelty-free. GelMoment Compensation Plan: GelMoment provides a generous compensation plan that ranges from 15-50% depending on the rank that you achieve. GelMoment Business Kit: The cost of the Enrollment Package is $109. As an Independent Distributor, you will have access to ongoing training. Your sponsor will be your first level of support. A full training manual is also readily available through the back-office. You will be a part of a community meeting other Distributors online when you join the company’s Facebook Corporate page. It also contains valuable resources like the latest news as well as updates. Commissions from online sales are paid out very quickly, just one hour after completion. They will be accessible in your EWallet. The cost of a one-year subscription to the EWallet Payment Solution, which is normally $24, is covered by the Enrollment Package fee. Personal Website: The cost of the maintenance of your personal website is included in the Enrollment Package and is good for one year. After one year, you will receive a reminder notice that the annual $49 website maintenance fee is due. Quotas to Maintain Active Status: To avoid becoming inactive, you must have at least $200 in personal retail sales within the past three months. Bonus Opportunities: You have the opportunity to earn residual income up to 10 levels deep when you build a team. Incentive bonuses, like the Trip Incentive Bonus and the GelMoment Car Incentive Bonus are additional perks that you can strive to attain. GelMoment Hostess Rewards: Those who host a GelMoment party, will be rewarded with Gel Cash ranging from 10-20% of party sales. If you are ready to have your own business that can be operated from any place that you choose, then consider becoming a GelMoment Independent Distributor. You will have the freedom to set your own hours and achieve the level of success that you determine. Your potential for growth is unlimited having the ability to sell not only in the USA, but also in Canada, Australia, and the UK. 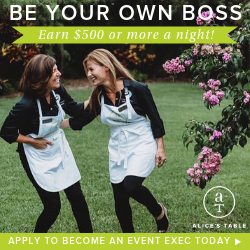 Previous Post: « Is the Partylite Consultant Opportunity Right for You?